Plastic-free, minimalism, zero waste, decluttering – I write about it all. If you’re looking for a little more help, want to go a little deeper and would love to explore these topics in more depth, these resources are just what you need. All these eGuides are available in handy PDF format, so they will be readable on any device. There’s nothing like a challenge to kick-start new habits! Plastic is everywhere: we use it, and we don’t really think about it. Yet so much plastic can be avoided. That’s what the 31 Day Plastic-Free Living Challenge is about. An introduction to living with less waste, there are 31 different challenges, tips and insights designed to kick-start your thinking, questioning and doing, all in the name of reducing our plastic footprint and doing our bit for the planet. Ignite your creativity, make positive changes, and of course, have fun along the way! 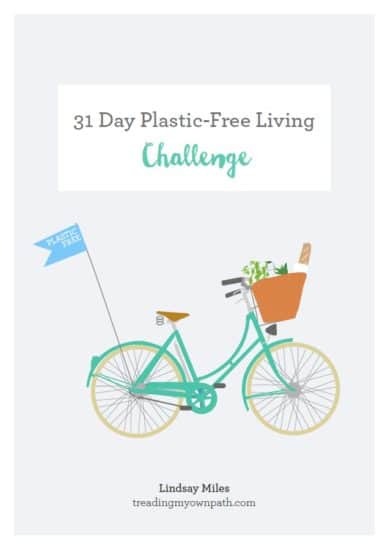 119 pages packed with tips, ideas and inspiration for living plastic-free. You’ll find 8 chapters covering the problems of plastic, food shopping, green cleaning, out and about, the art of change and how we make habits stick, plus much more. 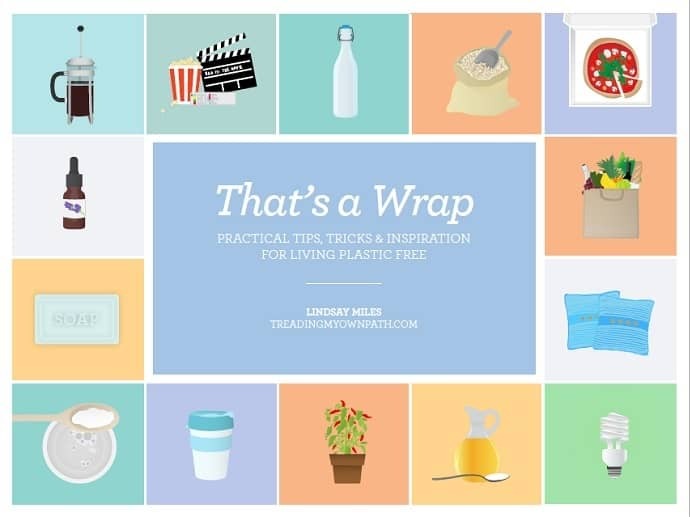 Beautifully laid out, That’s a Wrap is a guide for anyone just starting out on a plastic-free living adventure, as well as those of us who have begun a zero-waste or plastic-free lifestyle and are looking for extra inspiration. Looking to gift an eGuide to a friend? Gift vouchers are the answer! You’ll be emailed a unique 10-digit code which you can give to your friend for them to choose a guide of their choice. You’ll also be able to download a printable voucher. 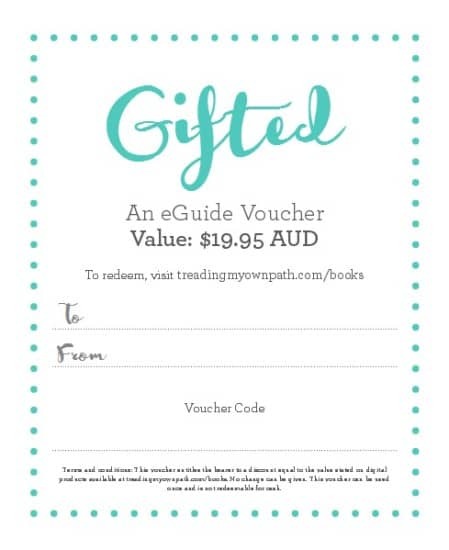 Gift vouchers can be redeemed against any of the Treading My Own Path eGuides.